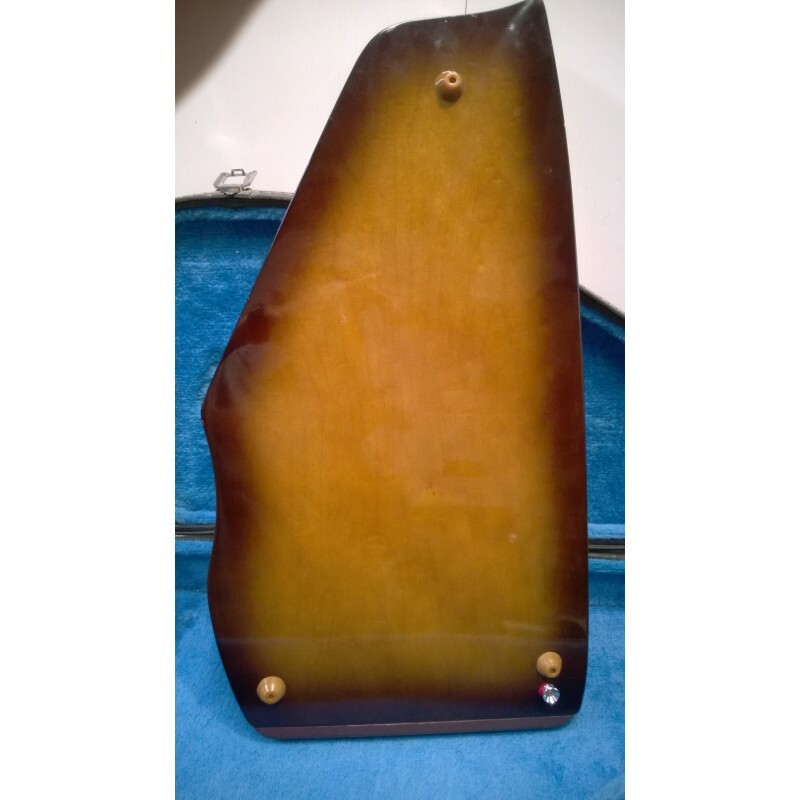 Nice brown tone sunburst with original hardshell case. Redone to have more popular chord bar layout. Very nice condition, appearing well cared for by original owner. New strings, tuned or refurbished felts. 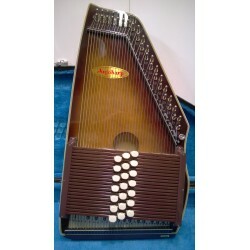 The logo says "AnjoHarp", perhaps a Canadian distributor, but these ChromAharps (and other branding of the same instrument and features), mainly by virtue of the different style of bridges, have a brighter, often louder sound than the Oscar Schmidt autoharps. This one includes the outstanding hardshell case design that is no longer made. All is in very nice condition. I removed the chord names and redid some of the bars to allow the Lewis Bluegrass layout. This type of bar cannot be moved to a different button row because the buttons are attached, so I did what was surgically necessary to make the configuration more popular, otherwise often a deal breaker in choosing an instrument. 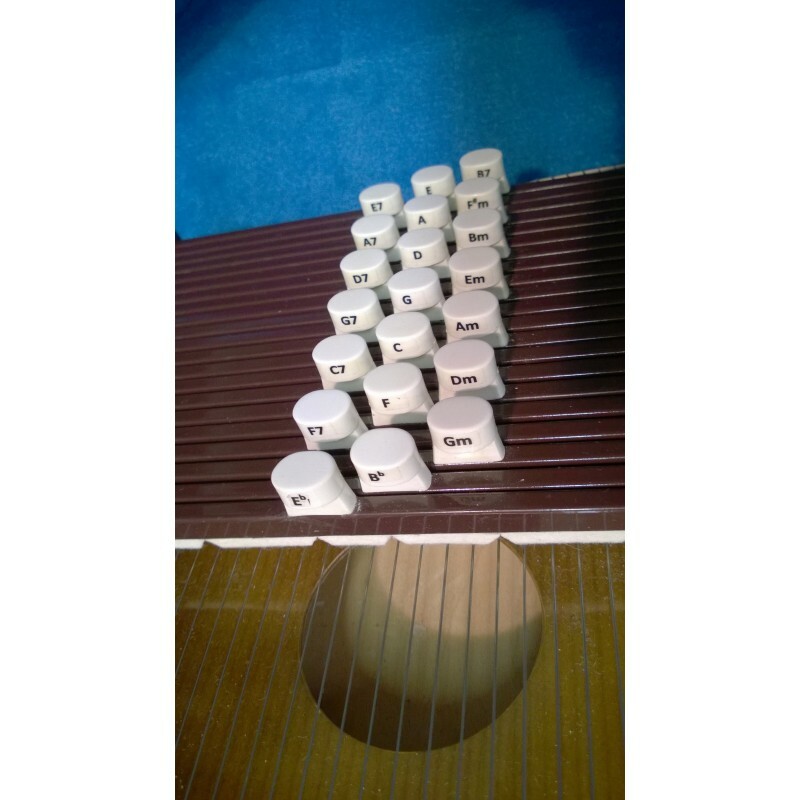 The buttons have been labeled on the side, where they can be viewed while playing with the instrument held upright. This is not one of the earliest ChromAharps from Japan, because I can see evidence of laminated pinblock. That should mean the instrument will tune and hold as well as any Oscar Schmidt, not all of which have laminated pin block in any case. It's just that people keep citing things about ChromAharps or Oscar Schmidt models that are not true in all cases, if at all. 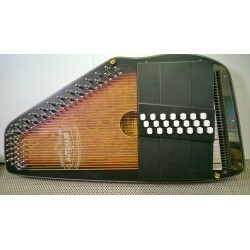 I have this instrument because I respect it, and because some people prefer the sound of ChromAharps.